On my way home from an exceptional Dub Garage event in Hamburg last Saturday, I put on my headphones, turn on the freshly loaded Irievibrations album Dub Station - and instantly regret that the listening experience couldn't have been made on that phat Solid Mojo Soundsystem I just left. With their hundredth (!) release, the Austrian producer brethren have set themselves a true monument. Fourteen tracks (plus two bonus tracks) reflect not only the mixing, dubbing and mastering know-how especially Syrix has accumulated over 14 years of musical creation, but also the wide range of artists the Irievibrations have been working with, from local to international. German representatives include the Palmen Aus Plastik shooting stars Bonez MC and RAF Camora with an experimental attempt to bring Dub and Rap together in Dankbarkeit, Don Bonn (singing about Slaves) and Iriepathie themselves who add their melodic Träumer, including acoustic guitar and a haunting brass set. A special instrumental masterpiece is also Got To by Martin Zobel and his fantastic Soulrise Band, who tend to record analogue anyway, thus dubbing must have been a special pleasure on this one. The Dub-characteristic focus on sounds and the reduction to snippets of the original lyrics makes all songs denser in their message, as in World In Trouble by Natural Black or Luciano's Hard Road. He is one of the longest-serving Reggae veterans on the release, only surpassed by Apple Gabriel, the former Israel Vibration member, who is heard on Controller together with Jahcoustix. This German artist is featured on another legend's track here as well: in What Makes Someone Leave, the distinctive voice of Akae Beka sings to us. Unmistakable, too, is Anthony B with Freedom Fighter, while the link from Stay With Me to Junior Kelly can be made on second sight (or rather, hearing) only. Having thus reached the Caribbean part of the release, it becomes quite clear that Jamaican artists are predominant. Right after the first and title track, LaLaLa gives an eerie "from the grave" feel with the voice of Konshens' elder brother Delus who left the physical world last year. Since he was a good friend of Syrix and Professa, they dedicated the whole album to him. Delus is part of a younger generation of artists, a generation represented by other well-known singers like Denham Smith, who comes with a relaxed Please Natty, and Kabaka Pyramid, claiming that they Cyaan Study Me. Lesser known artists get their spot as well, such as Alexx A-Game who adds Step Inna The Place or Spanish Ras Kuko. The latter's Manos Limpias is such a wonderfully cheerful piece that it makes me curious what the original sounds like – certainly a welcome side effect of this album! 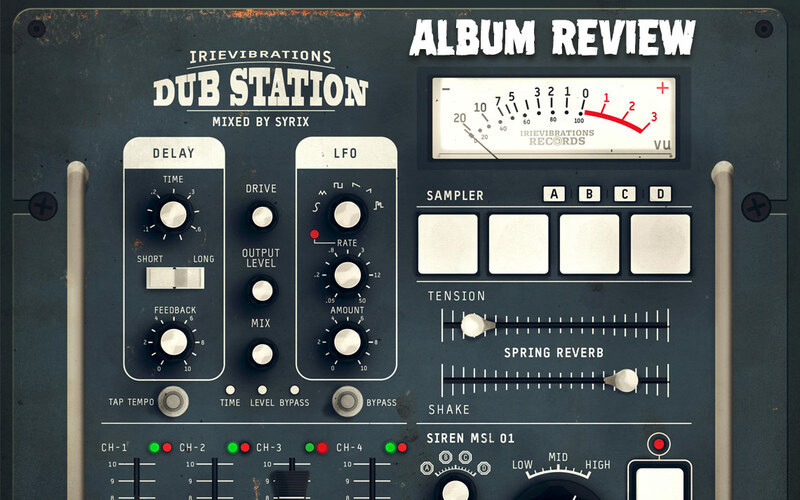 As you can see, there is a lot to discover on this Dub Station, not only for your ears, as the skilfully crafted cover art is worth your attention as well. But most of all, listen keenly, even if you are not a Dub fanatic. This music will speak to you from deepest bass to highest squeakers!